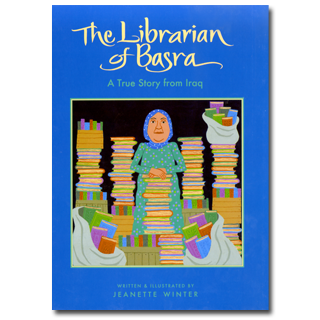 This is a beautiful story of an amazing woman who saved the heart of her library from the destruction of the war in Iraq. 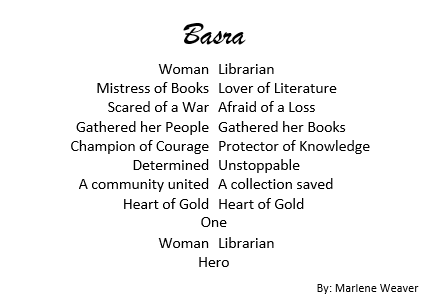 Alia Muhammad Baker has a career as a librarian but a passion for her people and culture. This story was originally uncovered by Shaila K. Dewan in the New York Times on July 27, 2003. Dewan's story was received by many readers and later detailed by two authors through picture books. 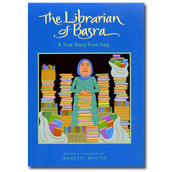 Now the story of Alia will be told for years through reading The Librarian of Basra by Jeanette Winter and Alia's Mission by Mark Alan Stamaty. Children and adults will read these books to help them understand the sacrifice one woman made to keep literature alive through the ravages of war. While both books tell the same story, there are some unique differences between these pieces of literature. This is a colorful version of Alia's story. It is eye catching and informative for the reader. The author/illustrator used acrylic and pen to create captivating images to complement the story of Alia. Younger children easily follow the story and can understand some of the heartaches of war through this version. I like how the pictures helped me visualize the characters. The clothing and facial expressions helped me make a connection to their culture, people and their feelings. I, also, made a connection to the characters because we both love of books. My hope is that when children read this book they can also make this connection with the characters and further realize that people of different cultures can have the same passion. Another positive image from this book is when Alia is dreaming of peace. This is a message to all readers that being stuck in war or strife does not have to define you. 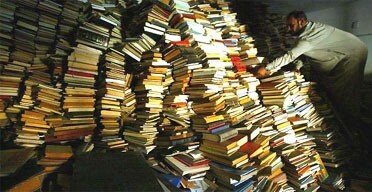 This vision of peace is followed by a beautiful picture of a Alia's dream library. 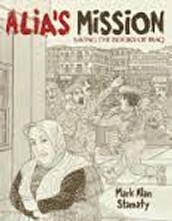 This book is a graphic novel describing Alia's experience. Author/illustrator, Stamaty, used ink and graphite to create a detailed depiction of the events. Stamaty created monochromatic dark artwork which mirrors many of the feelings about war. War is dark and ugly, but if you look closely, you can see the hope and humanity in many of the characters. I know that graphic novels are popular right now but I don't enjoy reading them. I often get jumbled in the artwork and words. The comic book style is probably very appealing to students but I did not enjoy reading it. The other part that I didn't like about this book was the personification of the books inside the front cover. I understand that the author used this page to introduce the book's theme but I think the serious theme needed a more serious approach. Although the building was lost, the heart of the library is alive because of Alia. Visualizing what it would look like when Winter described "barely enough room for anything else." Visualizing where we Alia lives. 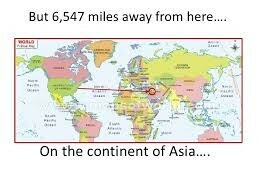 We live on the same Earth, just miles apart. Remains of national history are slowly pieced together. 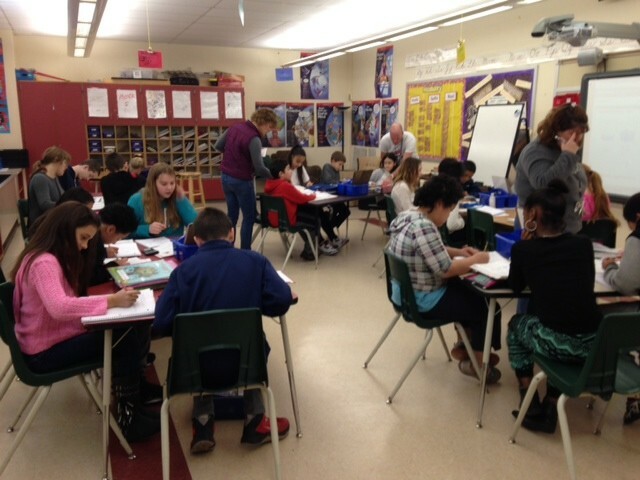 This is my 4th year teaching 6th Grade ELA at Leola Elementary School. It is the best school. I love my students and I work with an awesome TEAM.